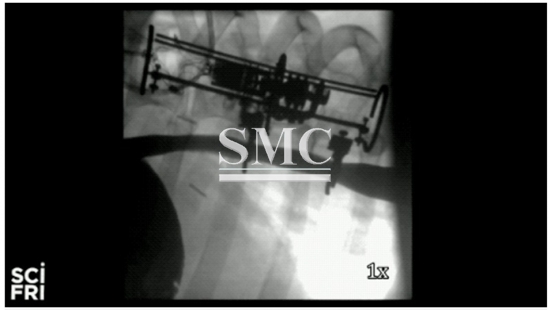 How that mechanical stimulation can take place, though, has recently reached a whole new level, as evidenced by the recent academic paper published in the journal Science Robotics in which a team of researchers was able to fasten a small robot that gently tugged on the esophagus of a pig for nine days. The result? The pig’s esophagus expanded by 10 millimeters. The robot works by using two rings to tug on both ends of the organ through a stretching motion that is regulated by a computer-application of traction forces. The stretching of the tissue — as the study found — induces growth inside of the tissue. “We've long appreciated that physical forces regulate a lot of biology,” says David Mooney, a professor of bioengineering at Harvard University who has spent years conducting research in this field. “If you think about it, the cells in our bodies live in a very physical world. We walk around and gravity's always pulling on our tissues. There's blood flow through her heart and the vessels. So it makes sense that the cells would respond to these environmental signals and alter how they grow, they how they die and how they specialize in what kinds of functions that they might have.